C’est magnifique! 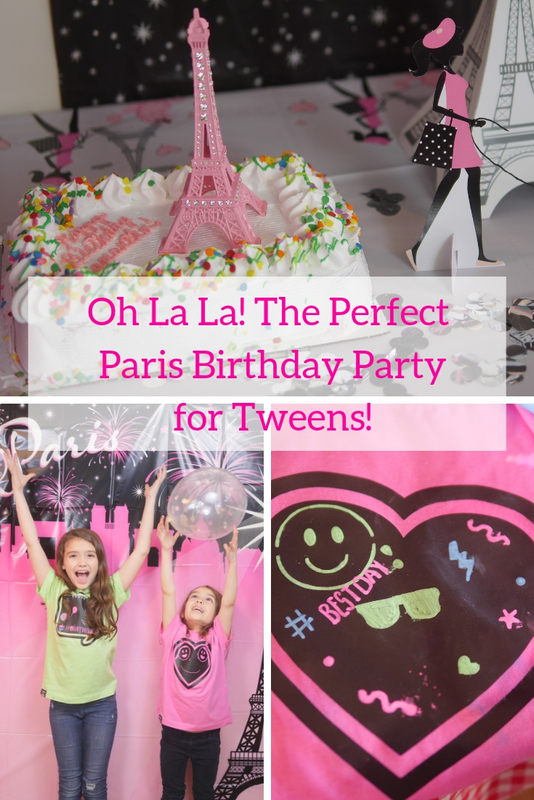 Featured today on Theresa’s Reviews, you can check out how to plan the perfect Paris birthday party for tweens. With a food bar, creative activities, and an adorable ice cream cake, this party is simple to do! Since my daughter was getting closer to her tween years, she wanted a party that seemed older, but still had the excitement and cuteness of a kids party. Paris was the perfect idea! We could combine the arts and crafts that she loves with glitz and glam, while also adding in her favorite animal, puppies! First, we set up a simple French Fries Bar. To serve about 12 guests, this was easy to do as a light savory dish. Toppings included Velveeta cheese, brown beef gravy, freshly cooked crispy pieces of bacon, and ketchup. The only special request we got was to add mayonnaise. Having a French Fries Bar was fun for the kids because they could customize it to meet their interests. My daughter also made her own chocolate covered strawberries using a kid-friendly chocolate melting pot, which impressed her friends! Since France is known for its artistic, creative people, we planned the activity to be decorating Chalk of the Town t-shirts with creative, colorful designs. These t-shirts were invented to be decorated with bright, precise chalk markers! To practice, my daughter drew and wrote on the chalkboard surface of a Lime Speech Bubble short Sleeve Shirt with some vibrant Chalk of the Town markers. 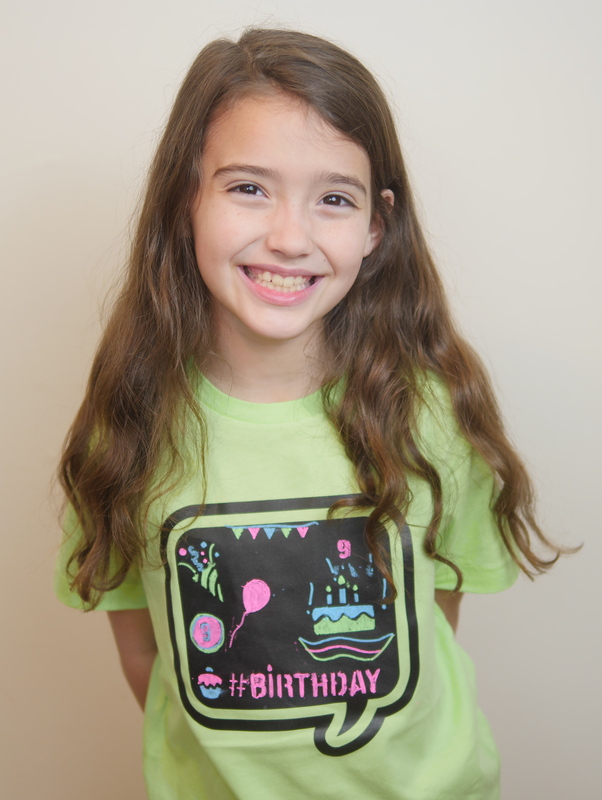 Her friends were really excited to see her own #Birthday t-shirt design, and they couldn’t wait to make their own! 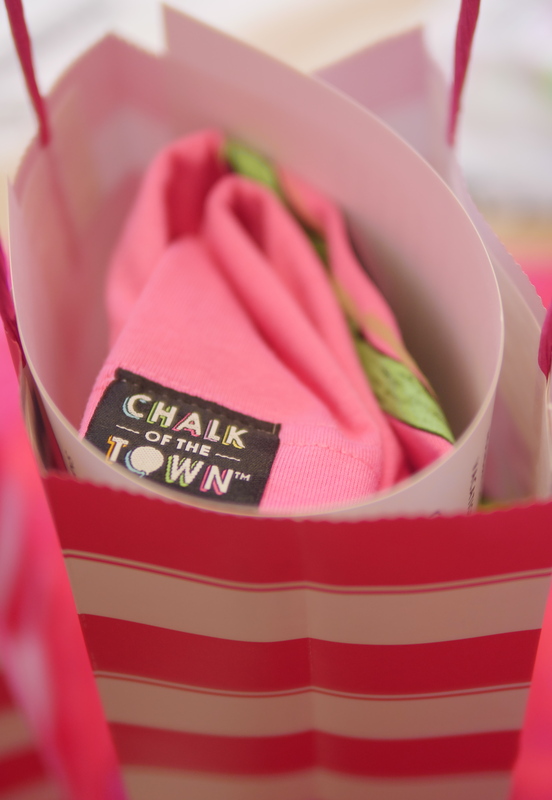 Chalk of the Town is designed to be used, worn, erased and washed over and over again! This makes the t-shirts a great activity and take home gift for guests too. Everyone got one Raspberry Heart Short Sleeve T-shirt. They were excited to discover that if they didn’t like their design, they could erase and begin a new design! To erase, you simply use a damp cotton cloth to wipe surface clean. Everyone let their imaginations run wild, while using the cool Chalk of the Town stencils to express their personal interests and style. Decorating festive party t-shirts brought this group of friends together to celebrate a special birthday. With the “Best Day” stencil, everyone’s shirts shared the excitement of being there for the party! Another activity perfect for tweens was a photo op with a pink runway and a pink backdrop with the Eiffel Tower. After the guests decorated their Chalk of the Town t-shirts, they all grabbed a white balloon with sparkly, shiny silver confetti inside, and they posed for Instax macaron-colored photos that they could take home in their goodie bags. All of her friends wore their special celebratory t-shirts to school the next day. They even decided to erase and wash it overnight and to wear a new design to school the next day! 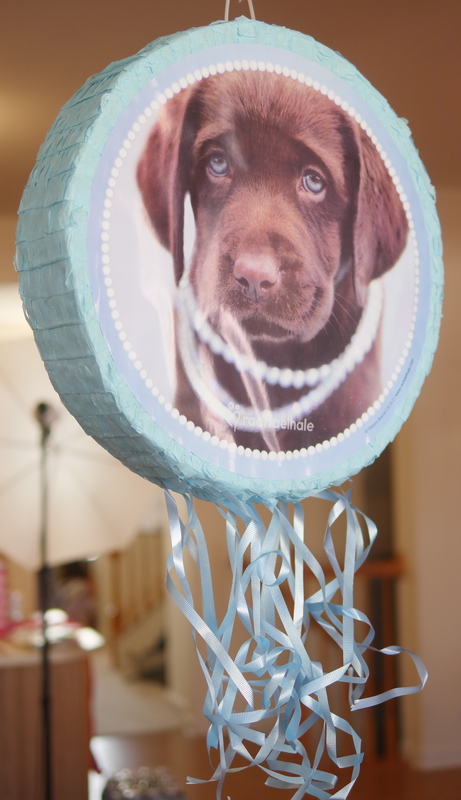 Since puppies in Paris was part of the theme, we got a Rachel Hale Glamour Dogs Pinata Kit. The festive pearls on the puppy went perfectly with our glamorous Parisian decor! With a Paris Party Decoration Supplies Pack, our tabletop had a French woman walking a poodle and an Eiffel Tower Cutout. It also came with hanging Paris cutouts and a Happy Birthday sign as well as the selfie scene setter. For a simple and delicious birthday cake, we bought an ice cream cake and used a pink Eiffel Tower Cake Topper that had diamond-inspired accents. The cake topper also came with an Eiffel Tower keychain, which my daughter kept as a special memento, but you could also use it as a prize for a game. In the goodie bags, I made sure that everyone got their decorated t-shirt and their Instax photo. I also included three markers, the #BestDay stencil they used, and another awesome stencil so they could continue the fun of decorating at home. Overall this party was a huge success! Finally, my daughter opened her presents and then we watched the 11-time Oscar nominated Hugo Cabret movie that is set in a train station in Paris. Directed by Martin Scorsese, it is a cinematic delight that was ideal for ending the creative activities of our Paris party! For more party ideas, make sure to follow Theresa’s Reviews on Facebook, Twitter, Instagram, Pinterest, and YouTube. Your turn! Share your favorite thing about Paris in the comments!